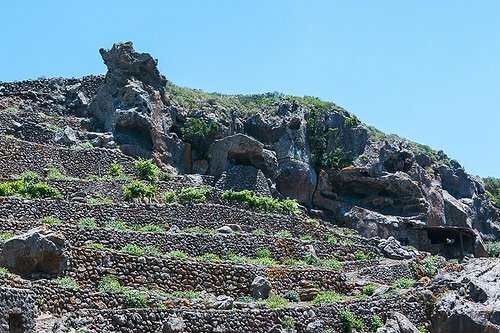 There were two things I heard repeatedly about Pantelleria before I got there. First: every person in Sicily told me I would love it; second: I had to try the capers, which wasn’t difficult, considering they were everywhere. And I don’t mean in shops or on restaurant menus. 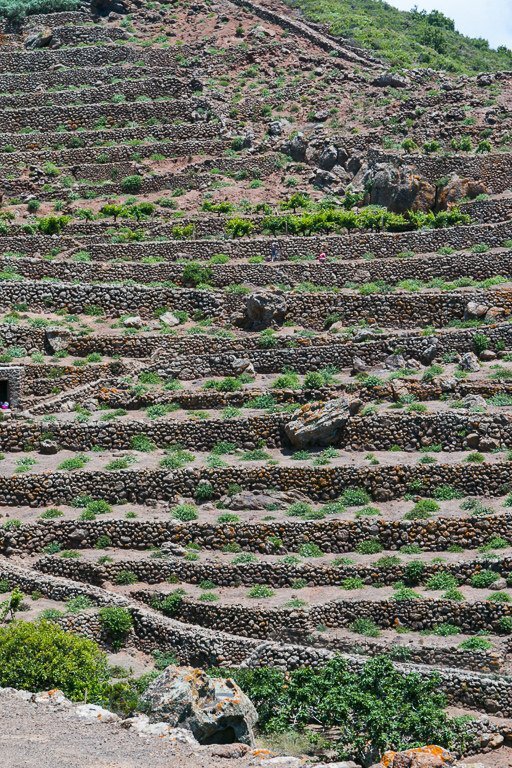 I mean, they’re growing everywhere on Pantelleria; on the sides of roads, around stores and buildings, on craggy pathways, and next to the stone walls that run up and down the hills of the island. A long time ago, an uncle in New England told me a pretty funny story. 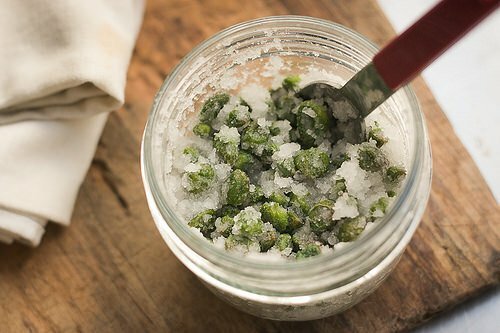 He was making a recipe that called for “pickled capers.” But he decided that he’d improve the recipe by using fresh. He looked in shops and grocers for fresh capers all over town, and couldn’t find any. 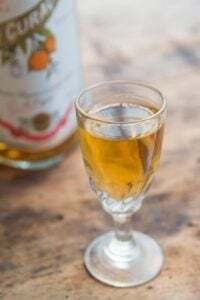 While capers grow in several countries around the world, and there may indeed be a plant tucked away in some greenhouse in Connecticut, I don’t think you’ll have much luck finding them fresh, as you so easily can, in Pantelleria. 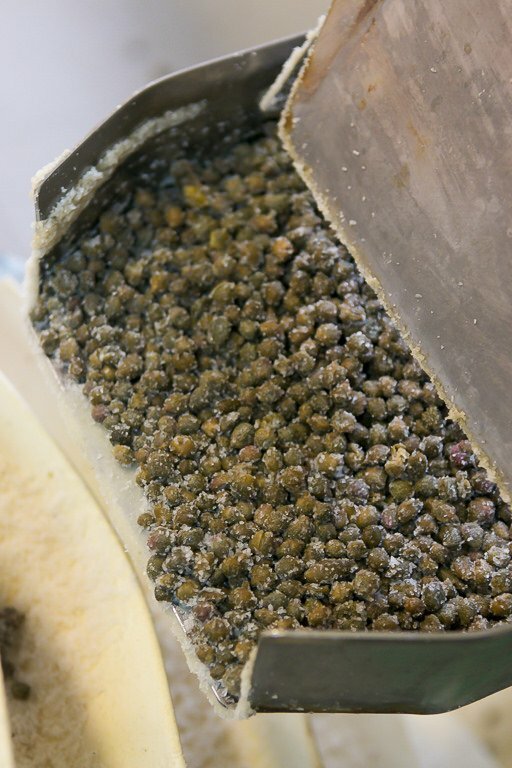 The salting process takes two to three weeks and when the buds are pickled (either in salt or vinegar), mustard oil (glucocapparin) is released from the bud, which gives the capers we buy their distinctive little zip to recipes. 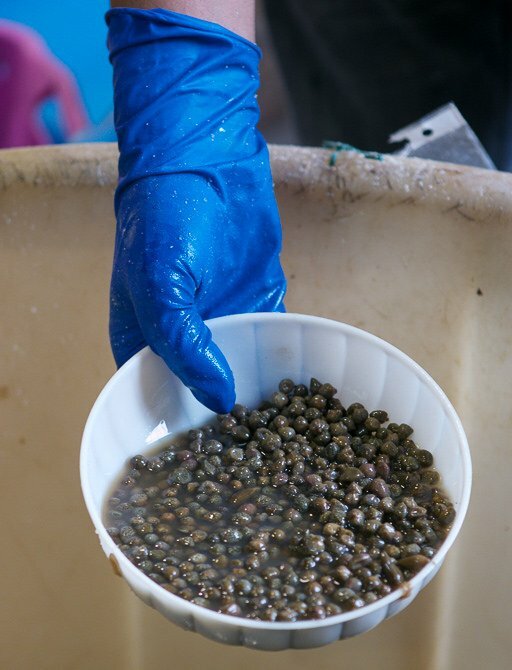 Capers that you cook with, or use in salads and elsewhere, should always be rinsed well (even the ones in jars), and squeezed dry. Interestingly, I did taste some of the salt that they used to prepare the capers and they did have a remarkable affinity for each other. So without any chauvinism or bias, I’ll hand that one to the Pantelleria caper cooperative. My friend Giovanni, who knows everything about the island, took us to a caper farm. 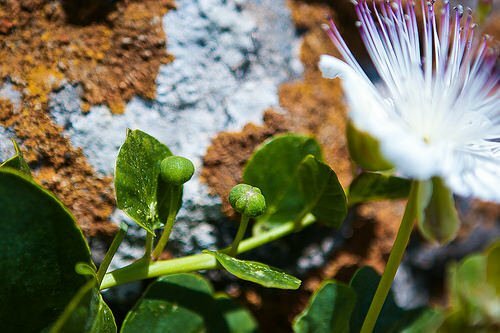 Because Pantelleria has volcanic soil, which is high in minerals, its capers are very flavorful and many consider them the best in the world. 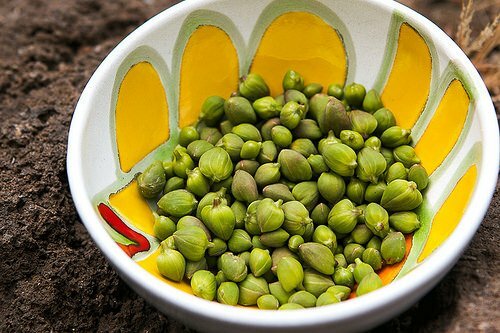 After driving up a hill, we got out and climbed the stone steps to visit the caper pickers, who spend their days in the hot sun, hand-picking each and every little green bud. The smallest buds are the firmest and choicest for pickling. If left on the plant, they grow large and turn purple. After the plants flower, an elongated caper berry (also called a caper fruit) forms, which are pickled and enjoyed as a little nibble with aperitifs, although Giovanni told me they’re excellent in martinis. So, of course, I bought two large bags. Lest you think I don’t appreciate what goes into the food I eat (and the cocktails I drink), on my last day on the island, I decided to preserve my own capers. Of course, I only wanted the smallest, greenest caper buds. So I braved the sun, found some bushes (which isn’t hard in Pantelleria), and started picking, assuming that in a few minutes, I’d have a surfeit of capers. And after about 30 minutes in the intense Sicilian sun, I ended up with not only a sunburnt neck, but a meager half bowl to show for my efforts. Still, I mixed them up with some crusty salt from Trapani, put them in a jar, and took them home. They’re on their first week and I hope they turn out okay. If not, I have a pretty good supply, picked and pickled from the pros in Pantelleria, as back-up. so beautiful, you make my heart ache for Sicily! I love capers, and am very jealous of your take-home stash! I have a friend who loves nothing more than a couple caper berries in his straight-up Stoli martini! He says it’s an awesome combination! I’m an extra dry Gin martini kind of gal myself, and he made me try the caper berries in my cocktail. Let me tell you, I was NOT disappointed! Enjoy! And as always, wonderful photographs! Loving your stories about Sicily! Chloe: Believe me, when I heard about them in gin martinis, I couldn’t wait to try it. So I got 2 bags of the large caper berries, and I have the Citadel gin ready….! I love when information is given in such a tasty way! I had no idea that caper berries were also eaten or even existed. @ Heather…….The Capers are available from Amazon….. The beauty of those flowers is astounding. Reminds me of the scriptures that tell how Solomon decked out in his finest could not come close to the Creator’s handiwork. That beautiful, beautiful soil. I bet it would great for growing tomatoes too. David, I’m just writing to thank you for your lovely blog in general and the posts on Sicily in particular. Being stuck in Manhattan for awhile- it is fabulous to see your photos and read about your experiences on that beautiful island. Happy travels and best wishes. We just spent 15 days in Modica, Sicily, eating capers and olives grown outside our front door. 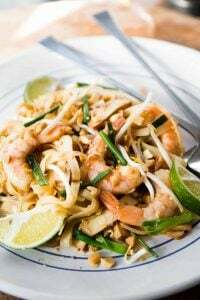 The food was some of the best I have ever eaten – and I’ve eaten a lot! I loved the intense flavors couple with the simplicity of preparation – can’t wait to return! I’ll eat a caper on anything! Thanks, David. 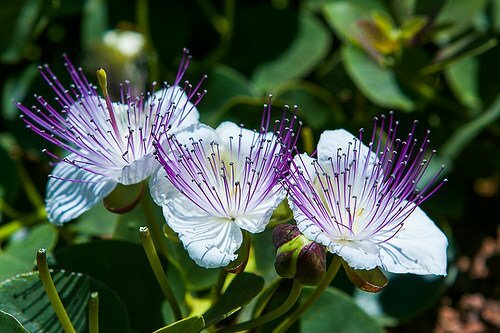 I love knowing the story of capers and, being that I live in a Mediterranean climate in Sonoma, will look for a caper plant at my local nursery. 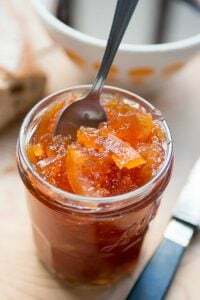 When I open that little jar next time, I will be thinking about the blazing hot sun and the people picking them, and be more thoughtful of using them. I did not know I had to rinse and dry them before using. I look forward to your e-mails like a friend because I liked you that much when you spoke in New York. Thank you for your chocolate chip cookies and carrot salad recipes. I, too, am hooked on France despite all the negative press. I believe you. It’s my dream to grow capers. 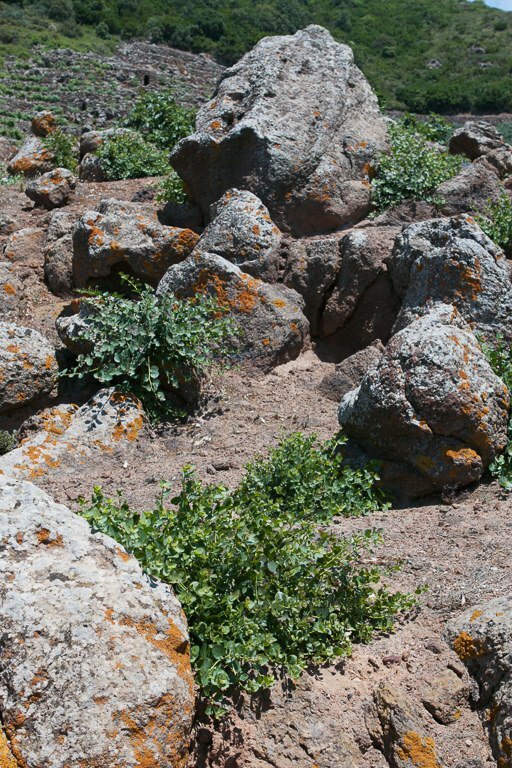 I live in Napa, which has a similar climate, but I’ve never been able to locate a starter plant…in the meantime I’m just grateful that the Fatted Calf sells salted capers. Have never seen a fresh caper before but looooove capers. Recently we were at a restaurant and my dad (who isn’t much of a food enthusiast at all) had a dish with a caper sauce. We asked him if we liked his order (usually just met with a shrug) and he said “Well its really good….but its hard to tell if its the dish because anything with capers turns out very good”. We all nodded in agreement. Wonderful photos as always. Thank you, David, for sharing your wonderful life with us. It’s a great pleasure to know you. 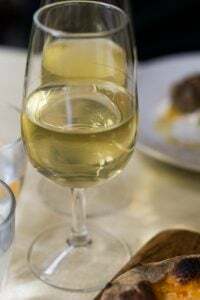 When you say that capers used in cooking, or in salads etc., need to be rinsed and squeezed dry before using, are you referring to the salted capers or capers in vinegar? Or both? I tend to like the ones in vinegar right out of the jar and even use the liquid sometimes on fish. Great stories and pictures…I’ve learned so much! I agree: caper berries make the best addition to a vodka martini! Also, the caper brine is pretty good too if you like yours dirty. I have always wanted to go to Sicily – this helps. Though I have always thought capers came from Nasturtiums (after flowering)! You really do learn something everyday! I love picking capers, and I’m really glad you found my link on picking and pickling capers useful. :-D I love being able to pick for free the foods that they sell in the store. Capers in salt is indeed the connoisseur use of them and I buy them in Paris even if they are not marked Pantelleria nor Trapani salt. 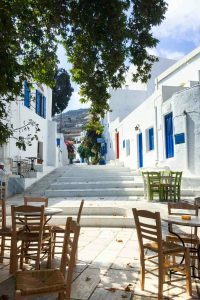 How I envy your visit to this utterly marvellous island with its lovely “dammusi” the Arab style guest houses. family palace, the Villa Tasca just outside Palermo. let alone the Tasca head of family rather grand himself, a chef of his own in the kitchen, maids curtsying when addressed, male servants wearing white mittens when serving.This is ten years ago. Thanks so much for answering my caper question! I think you covered the topic. Now on to your next caper!! Beautiful scenery. 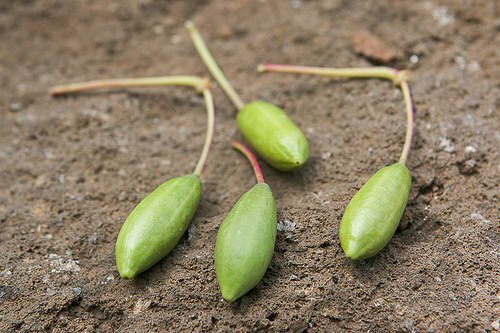 Even though I grew up eating tons of capers, I never new they were flower buds as opposed to”fruit” (like olives). Cool and informative post! Appreciating all things Italian, (and the Good Wife) the best capers in the world absolutely require that special crock (pictured) to put them in? Is there any source available for it? I HAVE to have it. Help pleeeze! It’s De Simone pottery, so you can possibly search around the internet for sources. There’s a great shop in San Francisco called Biordi that specializes in Italian pottery that might know. Great addition. I love them! Proof again that one is never too old to learn: Rinse capers and dry before using them. Than you, Honey-Bunches! I would grow that plant simply for it’s beautiful flower! But, alas, there is no residual volcanic residue around this concrete jungle. I won’t disappoint myself even in trial. I was amazed at all the stone work up that hillside! I love the handiwork and marvel at the sweat and toil of those who created such a landscape. Great piece – I know more about capers. I thought of trying to grow them here in New Orleans several years back after seeing they grow in my plant zone. I see now, despite the zone, it’s too humid here. 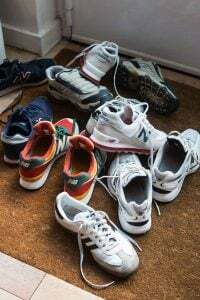 I’ll stick to buying them ready-made. (I did find a nursery in Colorado which sold the plant, but it was listed around $45 – another reason I hadn’t tried yet.) Thanks David. Thank you for your wonderful writing David. 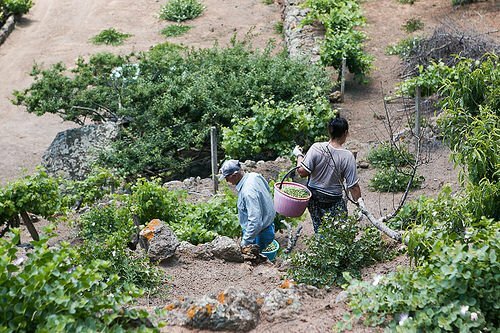 I spent a month on Pantelleria some years ago, and your posts and beautiful photos present the smells and tastes of that unique island environment perfectly. It’s a rugged and often harsh little rock, but what survives there is truly special. I love seeing the whole process of how a product is “born” until when it is edible and for sale. I get to experience this when I travel to Sardinia in the summer…by the way, have you been to Sardinia?? Capers are my all time favorite n to read about this was wonderful. Your pictures n writing is marvelous & enjoy everything about it. I also have the caper fruits as small bitings along with cheese with my wine & use the capers with many salads n mainly with tomato mozzarella. Looking forward to yet another new article from you. Thank you. Who knew? I actually never thought about how capers made it to the jar – would they work well in a Manhattan? Les meilleurs câpres du monde. 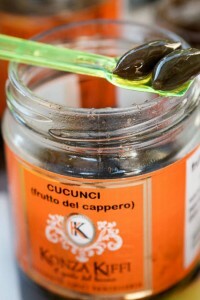 I used to pick capers in Sicily as a child, and as you say, just put them in a jar with coarse salt. Near Noto, not far from Modica. So good. I cannot eat the ones in vinegar, they taste of vinegar! Picking and pickling your own capers when visiting their land is such a “David” thing :) I love your blog (have been reading for many years now!) and especially look forward to your travel posts. 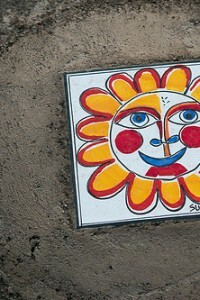 They usually make me yearn to go off travelling again in India, hot sun and all! Caper berry gravy from Bridge Jones Diary that was dyed blue from the twine she used. I never knew what those berries were! I know, so random, but thanks, David. Beautiful pictures! Great post, thank you. And from now on I will rinse and dry capers before use. I had raw capers in Greece once. Found them still on the branches and sold at the farmer’s market in my neighborhood in Athens. They were good. I was so surprised that they tasted just like the pickled kind, only fresher and greener… I don’t know what I was thinking. Maybe that the pickling process gave them that distinctive flavor, or something? I also tasted some of the leaves, just because I experiment therefore I am ;-) They were good too and tasted like caper… go figure, lol. You missed your chance! 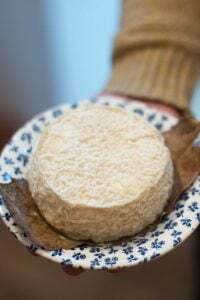 There may not be a precise equivalent for “locavore”, but there is a great Italian adjective “nostrano/nostrana” which means “ours” in the sense of “local”, “homegrown”, “du pays” etc. Lovely story, very informative, beautiful pictures, I love caper berries!!! Capers too!!! Please tell/show more like every bite you ate. This was one of your very best blogs. Maybe cause I’ve been hooked on capers since I was a little boy and my grandfather introduced me to them in steak tartare. 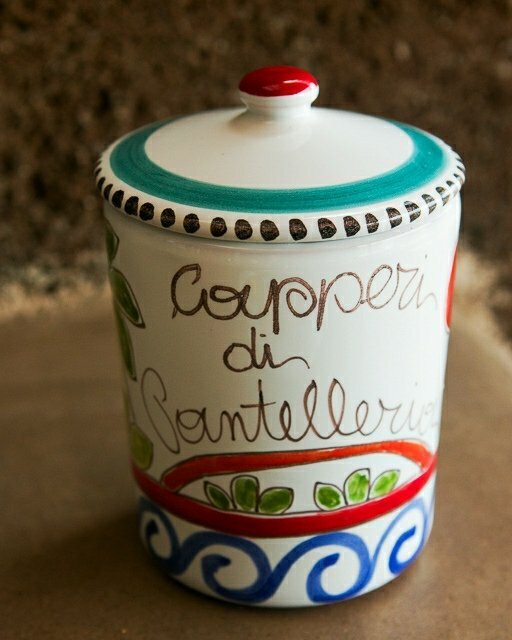 Where did you get that gorgeous ceramic jar of Capperi di Pantelleria? I need one! 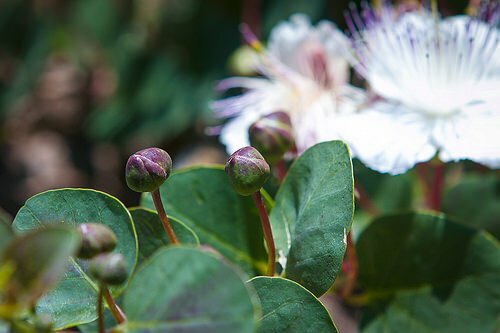 Growing up in Wisconsin (no native caper plants) my father told us that capers were so salty because they were harvested from the sea. I must have been in my late twenties before I learned the “truth” about capers! I always thought capers were pickled nasturtium seeds – fortunately Google tells me I’m not going mad. In England, caper sauce was the traditional accompaniment to boiled mutton. And very good it was, too…. I believe caper-picking is a pretty Herculean task, what with the thorns and all, so even half a bowl is pretty good going! Thanks for the tip about rinsing them. Siempre había querido ver una alcaparra en flor… Gracias David !!! David this is fascinating! Thanks so much for writing this. This was so interesting and the pictures were great. I could never understand why people used capers after buying and using the canned vinegar ones. I ended up throwing away most of the jar. I suppose I need to find salted ones. I don’t know what happens… I only got to see this post NOW but I got the next post on Sicily immedately – the Parisian summer heat wave?! Never mind; it’s a gorgeous post and it just remains to ask you whether you can confirm that your ‘caper berries’ are what I know as ‘caper apples’? I got them a first time at my brother-in-law’s as an ‘apéro’ and he bought them simply at the Migros (Switzerland)…. Since I loved them so much I do now the same – they are delicious. And no, I usually (with few exceptions) don’t wash the before using because they go well with what I mix them. And sadly, I’ve never seen or tasted the ‘just salted’ ones – so that’s something to look forward to in the future. Didn’t even know they existed. 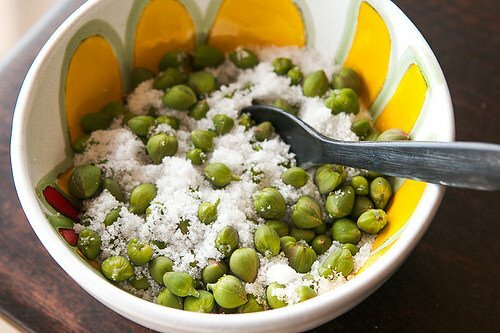 These Sicilian capers (called capote) in sea salt are available in bulk from DiBruno’s of Philadelphia. I have seen them in jars, but they seem to cost about 25 cents per caper. DiBruno’s are by the pound and quite reasonably priced. I buy a pound or half a pound and always have them on hand. Using a few in my tuna salad (tuna in olive oil) has earned me the reputation of making the best. Here in Palestine (Bethlehem) they grow like weeds: from walls, in road cracks, they’re everywhere! Strange enough it’s not part of the diet here traditionally although they are available canned in some supermarkets. It seems people do not notice that they are actually growing outside their own homes! 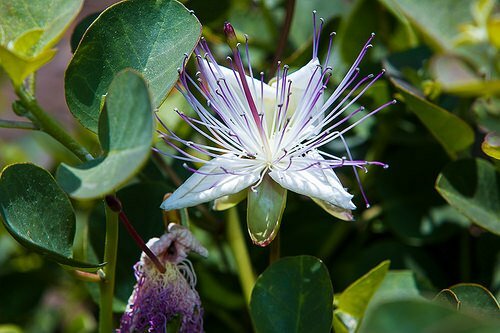 The Australian Caper Challenge – we think our Australian grown capers could come close to challenging those grown in Pantelleria. 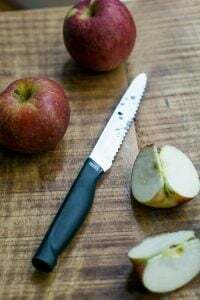 The market here is very boutique and we only have about a dozen or so commercial growers across the whole of Australia but the feedback from some of Australia’s finest chef’s is that they’re hard to beat.